Colleagues have asked if I would write something in response to Donald Trump’s Presidential election win. I’ve waited until some of the initial dust settled. But reflection at this point feels important. I’ll offer three sorts of big-picture observations that might prove useful. They concern 1) why we saw what we did, 2) likely consequences, and 3) how culturally mature possibilities can best be supported going forward. The short version: While we tend to think of election results in terms of political allegiances—political right versus political left—this result had more to do with broad changes taking place in the country and the world. Much in these changes will be ultimately positive, but for now they often result in uncertainty, dislocation, and a felt loss of control. And where there have been benefits, many people have not shared in them. While the policies of neither the Left nor the Right was the cause of people’s distress and confusion, at least in the short term, a further dangerous widening of Left vs Right polarization is a likely result. The task of culturally mature leadership is to help make change’s larger picture understandable. It is also to help make sure, to the degree it is possible, that everyone benefits in these changes. People know that I am neither a Democrat nor a Republican. As I see things, the best of liberal and conservative thinking each contribute pieces of larger systemic truths (see Partisan Pettiness: An Abject Failure of Leadership). The best is far from what we saw in this election, from either side. But that said, it is important to recognize that the forces that drove this election had little to do with policy. They had to do with changes that result in people feeling fearful, overwhelmed, and often left out. These changes are more fundamental than most people realize. Most would be happening whoever was in power. And many in fact are consistent with changes the concept of Cultural Maturity predicts and, given time, should be celebrated. But those facts don’t make things any easier. The biggest contributor to uncertainty in our time is as yet generally not appreciated—or at least its cause is up for debate. Familiar truths, from strong nationalistic beliefs to clear moral codes, are failing to serve us as they have in times past. And no new absolutes in the old sense are appearing to replace them. The fact that most people have no positive way of understanding the disorientation they feel multiplies the felt sense of confusion and loss of control. We can interpret this loss of familiar truths as evidence of bad decisions or a more general social collapse. But the concept of Cultural Maturity offers a different kind of explanation. I’ve described how prior to now culture has functioned as a mythic parent, providing clear rules to live by (see Beyond Cultural as Parent). Cultural Maturity’s “growing up” requires that we surrender past absolutes, think more complexly, and take a new depth of responsibility in the choices we make. I’ve written about how questions of all sorts are requiring capacities new to us as a species (see Cultural Maturity: A Snapshot). I’ve also written about how these dynamics manifest in a more specific way in today’s crisis of confidence in leadership (see How Changes in What It Means to Lead are Redefining the Human Task). An additional contributor is more readily recognized, but it can be just as hard to appreciate as something ultimately positive. We find ourselves in an increasingly globalized world. As national bounds become similarly less absolute, people can feel a loss of identity. And globalization in combination with technological advances can result in the loss of traditional jobs. The concept of Cultural Maturity suggests that ultimately these changes benefit us. (A theoretical note: Not only is globalization consistent with Cultural Maturity, arguably it becomes possible only if we are at least beginning to get beyond the “chosen people/evil other” beliefs that have previously been inherent to relations between large social groups). That these changes are ultimately positive should become more apparent as, with time, they are accompanied by a renewed appreciation for that which is most local and immediate in our lives. But they can be confusing and benefits, to this point, have not been felt equally. If we don’t recognize these facts and find ways to respond actively and compassionately, we should expect anger and division. A last contributor can be taboo to acknowledge, but it was likely a huge factor in the outcome of the election (and the fact that voicing it can be taboo, likely a major factor in the final vote being such a surprise to many). People who before had felt that this was their country saw themselves as being increasingly displaced. Minorities, women, gays, immigrants and other groups that before had been disenfranchised seemed increasingly to be getting the upper hand. This threat was more often symbolic than real, but it was felt as real. In the end, equal rights and equal opportunity benefits everyone. And like it or not, culture’s needed “growing up” makes its importance increasingly inescapable. But that can be hard to grasp—and when it is not, anger is an expected result. Why did we see the result that we did? Life in an increasingly complex, diverse world where old sureties no longer hold and where capacities new to a species are often needed is not easy. For some people felt dislocation has been particularly marked. And the Left has done little better than the Right when it comes to effectively articulating what is going on and what our times ask of us. In Donald Trump, people saw a promise of strong authority that could protect us from uncertainty and fear. And in the call to “make America great again,” they saw a promise to return to earlier more understandable and reliable times. In that such a return is not an option, those are naive hopes. And being that the larger portion of the changes I’ve described take us developmentally forward, they are not just naive, such hopes represent regression. But they are wholly understandable. Regression by its nature is not just unfortunate, but dangerous. The question of consequences has two parts. What will we actually see with a Trump presidency? And how will the two major political parties respond to the conditions that resulted in his election. With regard to a Trump presidency, at this point there are many more questions than answers. As far as policy, he has offered few specifics. And historically his views have been all over the map. We can know a few things. In some areas we will almost certainly see decisions that will be disturbing and unfortunate— dangerous backtracking on climate change, a weakening of important regulation in the banking industry and elsewhere, a major hardening of immigration policy, and a significantly more conservative Supreme Court. But it has been rightly pointed out that Mr Trump is more a pragmatist than in ideologue. There is much that we just can’t know. My greatest concerns with a Trump Presidency have less to do with policy than Trump the man. It is difficult to know what someone with such a fragile ego and a tendency to respond childishly will do. It is possible that he will rise to the great responsibility conferred upon him. I’ve often been surprised, for example, at how suddenly a person who has seemed only self-centered can change when they become a parent. But it is likely that we will see instances in which his emotional immaturity and reactiveness has disturbing consequences. What about the two major political parties? Again there are more questions than answers, but the election should be a disruptive event all the way around. Each party should see major new battles for control. It is possible that we might see soul searching that produces greater perspective and maturity. But even if we see steps forward, another result, at least short term, will likely be a further widening of today’s already untenable partisan divide. With the Republicans, there could be significant internal discord as strongly divergent views clash, but the most likely result is a party allied even more solidly to the Right. While Mr. Trump’s own views are scattered, aligning himself with more conservative elements would provide him with the easiest route to governance. With the Democrats, outcomes are just as much up in the air. We should see major questioning of the party establishment—a good thing. But the way election results are interpreted will likely result in liberals swinging even further to the left with the old guard giving way to those of more populist inclination. The image of an even greater partisan divide is not encouraging. With Republicans also in control of the legislative branch, we will either see legislation railroaded through without attention to opposition, or where opposition retains needed heft, a return to gridlock. Neither is a healthy result. Certainly, neither is likely to encourage new faith in government as an institution that can work. How about the effect more specifically on efforts that support culturally mature leadership? I’ve written about how a back and forth between Left and Right— often with extreme advocacy—has historically served to take us forward. I’ve also described how today this is less and less the result we find, and how simple compromise—middle-of-the-road moderation—gets us no closer to where we ultimately need to go (see Cultural Maturity: A Guidebook for the Future). 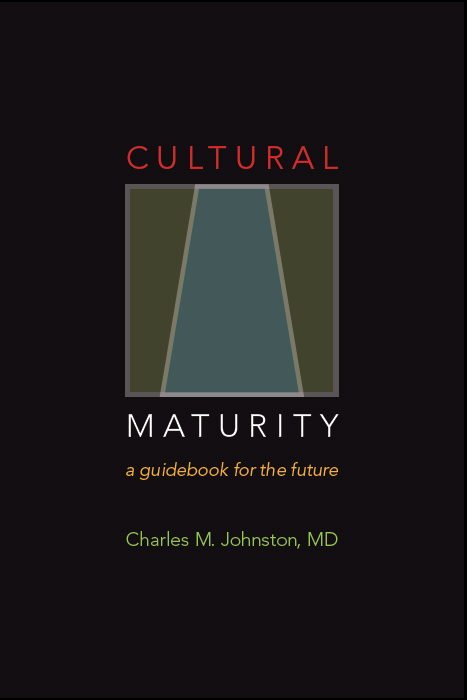 The changes that the concept of Cultural Maturity concern the long-term. But short term, it is hard to imagine greater polarization not making culturally mature advocacy more difficult. With conservatives in power, there is little reason for them to question their ideological certainties. And in many ways the obstacle with liberals is even greater. In reaction, they are likely to become even more sure they have the answer. While it is important that those on the Left act vigorously to oppose the worst excesses of the Right, if all they do is obsess about the actions of the Right they will contribute little that actually takes us forward. It could be argued that the absurdity of this spectacle is just what we need to inspire conversation about more fundamental change. I’ve written about how the chapter in government’s evolution that has given us modern representative government is not the ideal and end point that we tend to assume, that with time we should see further, more mature chapters (see The Future of Government). In a recent post, I observed that one thing we should expect to see as the assumptions of the old chapter cease to work is impossible degrees of partisan gridlock (see Beyond ‘Chosen People’ and “Evil Others.”) There are other explanations. The craziness we see might just be craziness. But at the very least, such craziness might serve as a timely catalyst for fresh creative thinking. A question of particular importance to me concerns possible reactions of colleagues who are beginning to appreciate culturally mature perspective and manifest culturally mature capacities. Recently I wrote a post that examined how key culturally mature changes will take longer to fully manifest than I thought when I first wrote about them (see Looking Out Twenty to Fifty Years: An Extended View Helps Put Cultural Maturity’s Challenge in Perspective). One piece of evidence I used for that conclusion was the number of people who were supporting Mr. Trump as the Republican nominee. The fact that he is now president doesn’t significantly alter the numbers, but it could add to the challenge advocates of culturally mature policies face in maintaining their drive and commitment. So might an even wider partisan divide. It is my hope that we will see the opposite—a recognition that greater maturity of perspective is more important than ever. 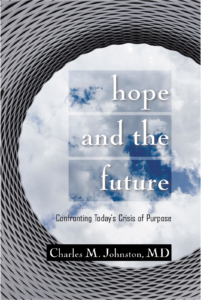 What role do people committed to a culturally mature future now appropriately play? Certainly, along with others who appreciate potential dangers, they need to serve as a bulwark against the worst of regressive impulses. We also need to remind ourselves and others of important steps already taken. Barack Obama recently noted in regard to greater racial awareness, “while it may not always win the day in the short term, I’m confident it will win the day over the long term.” Maintaining that kind of big-picture vision is essential. In warning against regression, I’m all too aware that accurately identifying regression is not as straightforward as we might think. When there is extreme polarization, each side becomes ever more certain that what they advocate represents progress. What progressives call themselves assumes this conclusion. And those on the far right are just as sure they have the answer for the future. The more reasonable conclusion when polarization becomes extreme is that each side is missing important pieces of the puzzle. The more reasonable action—for each side—is to reexamine basic assumptions. Here is a useful thought experiment. Imagine a third party that would advocated for culturally mature values and leadership. I’m not proposing such a third-party effort—if it ever made sense it would be decades in the future. But forcing oneself to articulate what such an effort might espouse helps expand one’s thinking. As far as the positions of the Left and the Right, I’m fascinated with how often my own views can lie to the left of the Left and to the right of the Right—at once, with regard to the same issue, and without contradiction. Trying to get my mind around the implications helps support the needed stretch. For example, while I have great sympathy for those who have gotten the short end of the stick with globalization, I don’t see protectionist measures, at least of any extreme sort, benefitting us. I think we need to support dynamic global economic relations. At simultaneously, we need to provide a robust safety net for those who do not naturally benefit from a more open world. It might be nice if protectionism returned jobs, but I don’t see great evidence that it would. With regard to immigration, we need to recognize—at the same time—how immigration creates vibrant societies and how those who have worked over decades or centuries to build a society’s structures deserve particular consideration (borders have a place). Our measure in making choices needs to be the greatest overall, long-term benefit. With regard to equal rights and equal opportunity—for minorities, woman, people of differing sexual orientation—my position is absolute and non- negotiable. These are unquestionable goods and further progress is essential. At the same time, I think it is essential that we challenge taboos that keep people from acknowledging important aspects of these challenges. For example, while confronting police force racism and the unequal treatment and violence that can result is critical, just as important ultimately is addressing the social circumstance that too often leave police officers frightened for their own well- being. We need to be OK with the fact that new responsibilities have more than one side. As far as world conflict, I’ve written about how there is often much less that we can usefully do than we like to believe. I’ve also written about how cultural stage differences, as we see with conflict in the Middle East, can amplify what would already be difficult circumstances (see Seeking Effective Middle East Policy). But those recognitions do not at all leave me an isolationist. While what we can be tempted to do militarily will very often only makes matters worse, there is often much we can contribute on the humanitarian front to relieve suffering. And I am very comfortable with intervening militarily—and intervening strongly—in certain very limited circumstances. I think it is important that the U.S. be a visible moral leader on the world stage. It is just that a keen appreciation for limits is key to doing so effectively. Your views may differ significantly, but you get my point. With each of these examples we face challenges where neither the traditional positions of the Left or the Right prove enough and where simple compromise in the end serves us no better. I think of these conclusions as straightforward. But it is also the case that we are only beginning to understand the implications of more systemic perspective. We all have a lot to learn. As we confront current circumstances, we can use even the most absurd of responses to help us expand our thinking. Events in the years immediately ahead may very well be deeply unsettling—and often discouraging. There will be times when we are positively surprised. But when we are not, we must stand ready to voice essential values and defend progress made. And perhaps most important, we need to be ready to learn from it all, even if doing so asks more of us than we might prefer.